As technology increasingly infiltrates every aspect of medical billing, patient care, and practice management, one piece of day-to-day medical office operations has been largely spared: check-in. Even many technologically savvy practices, clinics, and hospitals still handle patient arrival with the same tools they always have – a printed paper sign-in sheet and clipboard-bound ink pen. But despite its ubiquity, the paper-and-pen check-in experience poses obvious drawbacks. 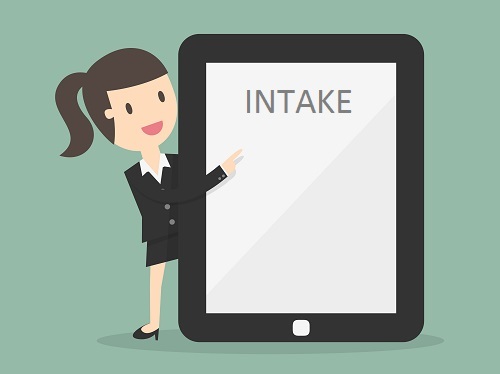 For one, it’s an inefficient process since there’s obviously more involved in intake, from an administrative perspective, than just patient sign-in. Secondly, it’s not at all private; the names of patients may be crossed out in permanent marker once the front desk staff enters their arrival into a practice management system, but that’s hardly a foolproof privacy-protection strategy. The healthcare IT community, however, has recognized the above issues and pounced on the perceived business opportunity. Automated intake solutions, including patient check-in kiosks, are now widely available to healthcare providers of all sizes. But do the portals pose any value to practitioners beyond improving privacy protections and removing a (relatively simple) step from the front desk team’s responsibility list? For some practices, they certainly do. The increased efficiency of an automated check-in process can be a revenue driver for large practices, especially those with long intake times: At the West Boca Diagnostic Imaging Center in Boca Raton, Florida, the deployment of kiosk technology has allowed providers to see 15-20 more patients per day than they could with traditional front desk check-ins, because it lowered their registration time from 7-10 minutes per patient to just 2. Automated check-in can also be helpful to practices in care coordination and planning. If the tools are integrated with an EHR, for example, they can prompt the patient to provide updates on their conditions in advance of the healthcare encounter – giving the physician an opportunity to deliberate on options and advice before the visit even begins. And a more streamlined intake process can also provide benefits in a growing area of concern across the healthcare industry: patient engagement. “As healthcare providers look for feasible ways to improve patient engagement and experience, the patient intake process presents an exciting opportunity,” writes Chaim Indig, CEO of digital intake solutions provider Phreesia. Benefits in the medical billing and collections departments may be achievable too, since check-in portals can prompt patients to pay on existing balances and can execute eligibility checks without any effort from staff. So while automated intake isn’t necessarily a must-have tech solution for every practice, it can be a helpful tool in the practice-performance arsenal. Ultimately, the paper-and-pen sign-in sheet will become extinct eventually... for individual medical practices, it’s simply a matter of when.